Talk to Jorral from the Making History Quest. After completing the Meeting History Quest, you get to keep the Enchanted Key. As with the previous quest in the series, you can use it to find treasure in a game where you are told if things are hotter or colder, therefore giving you directions. Unlike the first, this has no special rewards, although can be a fun way to obtain a nice supply of Charms for training Summoning. 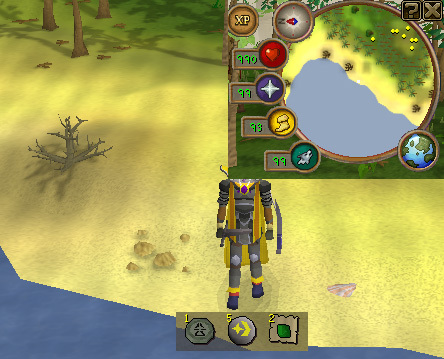 Very Cold - Extremely far away, you're on the completely wrong side of Runescape! Cold - You are still very far away, if you can you really should teleport in the direction the key shows. Warm - "Warm" is a very wide level of warmth, you can be very close but also pretty far away. 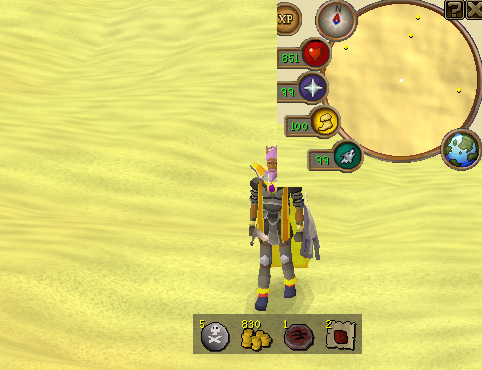 Teleport a short distance if you can, but walking works fine now too. Hot - You are getting close! 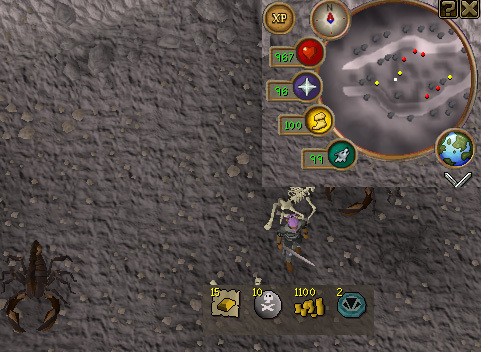 Teleporting is a waste of runes and jewellery charges now, so bank/throw away all your heavy stuff and run! If you look further down the guide you should now be able to guess which of the spots the key is pointing to. Very Hot - This is not much different from hot, but still closer, so keep running! Ouch! It's Boiling! - You are extremely close now, the spot should be within your line of sight! The exact spot can sometimes be a little tricky to find though, so you may have to run around for a bit to find it. Steaming - You are standing on the treasure! Dig with your spade to claim it. If you wish to find the treasure on your own rather than looking at the solutions below, but are having trouble working out where to go, there are a couple of methods that can be used to help you. By using the second method, you will be able to move large distances quicker, although it can be less accurate since you are jumping around a lot. Stand in a spot and feel the key. Move North, South, East or West and feel the key again. If when you go in this direction it says that you are getting colder then go back to the original place and try the other direction. If it says that you are getting warmer then carry on moving in this direction until something gets in your way. Now move in a direction 90 degrees from the direction you went in originally, so if to start with you went North or South, this time go West or East and if you went West or East, go North or South and repeat these 5 simple steps until it says that the key is steaming. If when you do Step 2 and it says that the temperature stays the same then if when this happened you went North or South, go West or East and if you went West or East, go North or South. If when you go in this direction it says that you are getting colder then teleport to a location in the other direction, if it says you are getting warmer then teleport to a location in the direction you moved in. Repeat Step 3 until it says that you are warm. Use Method 1 to find the exact location of the chest. 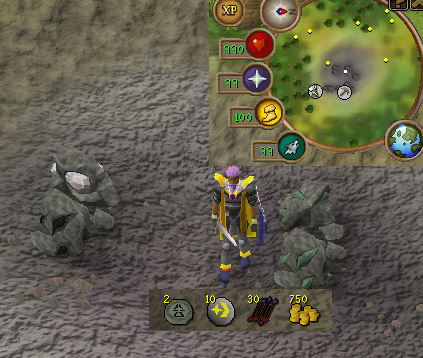 There are 11 locations that you need to find around RuneScape, although each person should get a slightly different trail since there are more than 11 places that treasure may be found. Once you find one, the next will 'unlock' for you to find the treasure there. From Jorral at the end of the quest, head north into the Gnome Stronghold, then north-west until you get to the Gnomeball arena. You need to dig slightly south of the eastern end of the arena. From Jorral, Travel north-west until you reach the edge of the Gnome Stronghold. Then follow the fence until you come across benches. Stand west of the eastern most bench and dig. 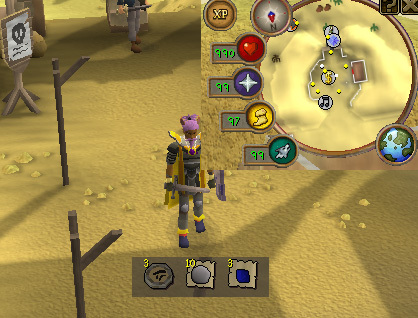 Head to Al Kharid, then make your way south to the Shantay Pass. You need to dig in the middle of the open area near to where you buy the pass to enter the desert. From Brimhaven, head west until you reach a section of the western Karamja coast that comes in slightly. You need to dig slightly south of this 'dimple'. 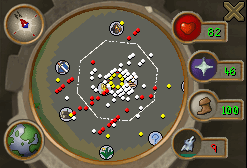 Head north of the Grand Exchange until you reach the entrance to the Chaos Tunnels in level 5 Wilderness. You need to dig slightly south of the entrance to the tunnels. 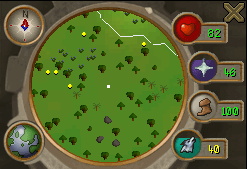 This location is in central Karamja slightly north of Shilo Village and north-west of the Nature Altar. If coming from Brimhaven, head south to Tai Bwo Wannai Village, then follow a gap in the trees that runs south-east to the east of the village. You need to dig in the northern part of the mine. 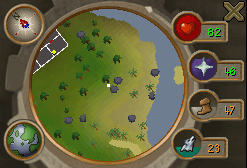 From Yanille, head south through the Feldip Hills until you reach the area that people hunt Red Chinchompas in. 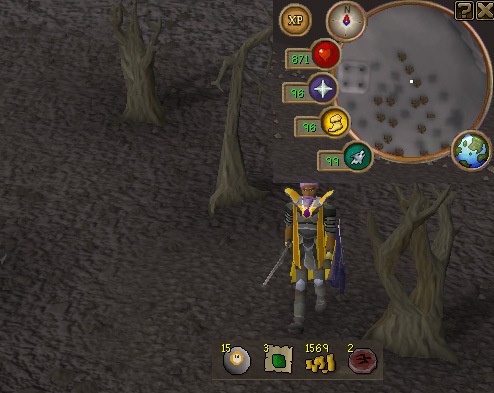 You need to dig to the west of the hut that you can buy the Hunter Skill Cape in. Take the Magic Carpets down to Sophanem, then make your way east into the desert. 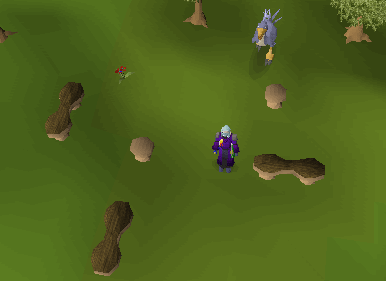 The area has no clear landmarks, however you need to dig roughly central to the area east of Sophanem, south of the Agility Pyramid and west of the Swamp. 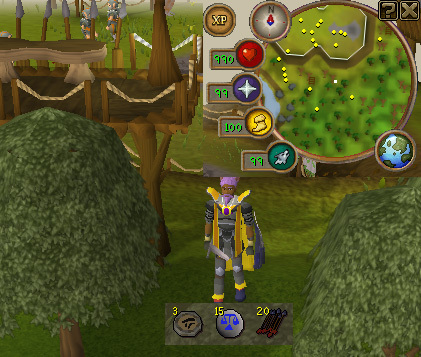 Head up the western edge of Bounty Hunter until you reach level 28 Wilderness. You need to dig so you have a portal to your west and ridge to your north. 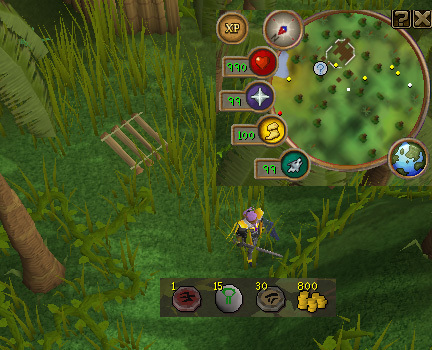 From Bounty Hunter, head east until you reach the Green Dragons around level 20 Wilderness. You need to dig slightly to the east of the Dragons. Either follow the path south from Trollheim to the Death Plateau or from Burthorpe head north, then east along the path as if you were going to head onto the Death Plateau. Dig north of the gates at the entrance. 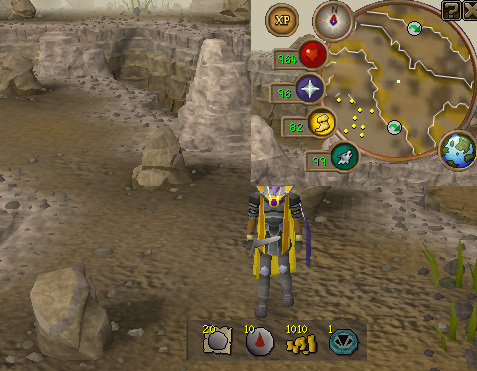 Make your way into deep Wilderness east of the Mage Arena and west of the Chaos Elemental. 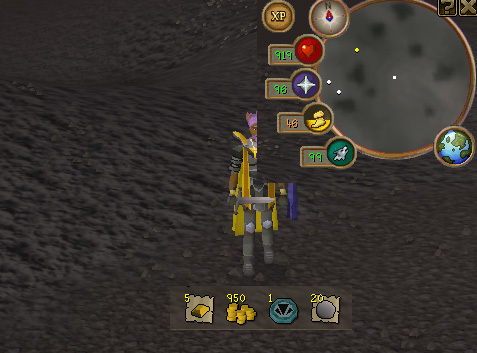 You need to dig in the western part of the cutting north-west of the Chaos Elemental. 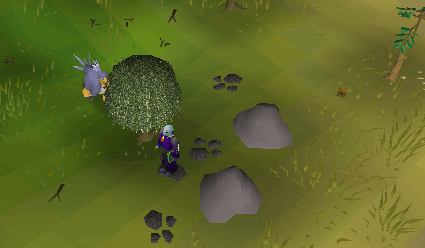 From Port Sarim's jail, walk south east slightly and between the rocks and the trees. 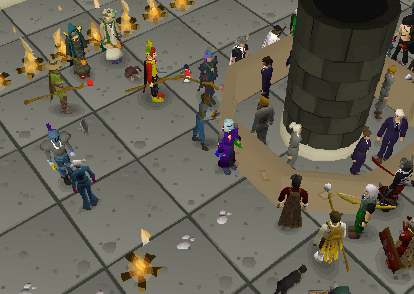 At the Grand Exchange, stand next to the west bankers and dig. Once you have found all 11 pieces of treasure, the key will still be in your inventory, however you will be told that it cannot be used to find more treasure because it has served its purpose. 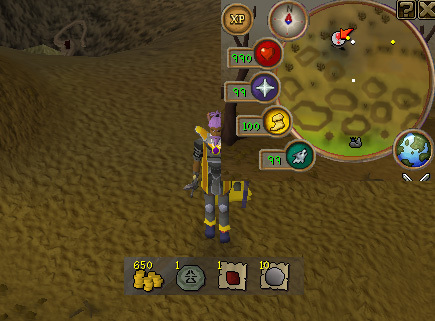 It's worth noting that the Enchanted Key can be placed on your keyring from the One Small Favour Quest.